Now, Paytm users can easily transfer Paytm cash to Bank account in few seconds. Paytm has launched this service few weeks ago. Several users has already transferred there paytm cash to bank account. Well, it is very easy to transfer the money. Ill share some easy tips and tricks, which will guide you the best. Paytm is a platform where users can recharge their mobile phones, electricity bill and users can buy almost all kind of products. It has over 100 million registered users. The best part of paytm is cashback offers. Paytm offer several coupons and provide users various kinds of discounts and cash back. 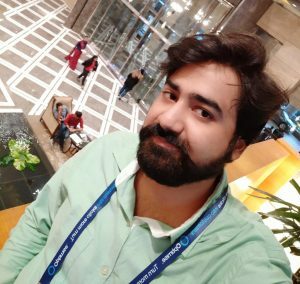 This epic feature of Paytm has made them famous and most used website for mobile recharge in India. Transfer Paytm Cash to Bank Account for free. several methods present. transfer upto Rs. 5,000. Verify from error message. Transfer without 4% fee. Note : Requirements to transfer paytm cash to bank account. Your Paytm account should be 45 days old. Minimum transaction amount Rs. 1,000/-. Daily maximum limit to transfer is Rs. 5,000. Monthly maximum limit to transfer is Rs. 25,000. Yes, you don’t need to pay any transaction charges. Usually paytm charges 4% per transaction. But, if you follow this trick then you can transfer without transaction fee. To transfer Paytm cash to your bank account you need some Paytm cash. You can easily get paytm cash. Just open Paytm and buy anything of your choice. Now, order the item and do online payment. After doing the payment, *Cancel* it. Now you’ll get Paytm cash. Visit your transaction history and tap on *Refund*. You have done it, Paytm will transfer money to your Bank account. 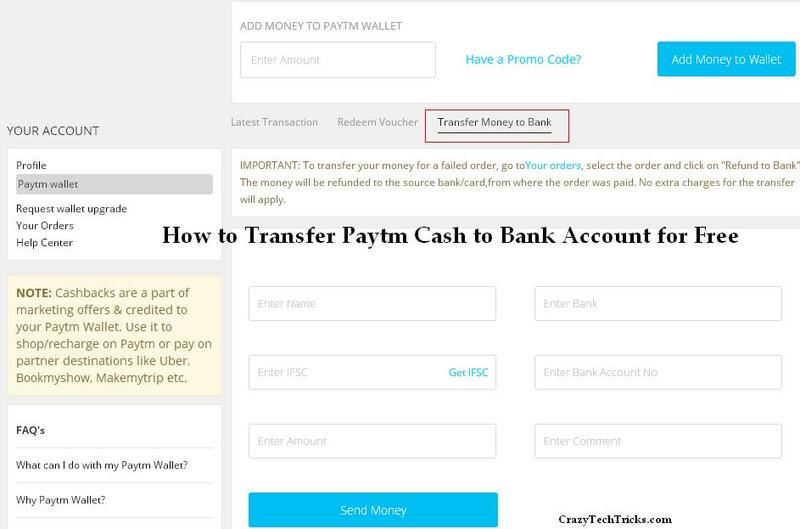 Its one of the easiest method to transfer Paytm cash to your bank account. But, Paytm will charge 4% transaction fee. If you transfer Rs. 2,000 then Paytm will charge Rs. 80. Now, tap on *Transfer Money to Bank*. Enter your personal details and your Bank details. Note : Minimum amount to transfer is Rs. 2000. After filling all the details, Click on Submit. As your wallet is not setup. So, you’ll get an ‘error’ messgae. Now, send a SMS *TMB* to 53030. Send SMS from your registered mobile number with your paytm account. After sending the SMS. You’ll need to wait for minimum of 48 hours or up to 7 days. It depend upon your Bank, how long it take to verify you. Once you conformed, you can transfer money to your bank easily.